In Rapid Human Evolution we saw how the Fore people of Papua New Guinea evolved resistance to the prion disease, kuru in as little as 200 years under intense selection pressure, so giving the lie to Creationist claims about evolution. This blog is about an almost as impressive example of recent human evolution, albeit at a somewhat slower rate, but not, like the Fore example involving a single gene, but involving more than 30 genes. Again, the observable facts destroy another Creationist myth. 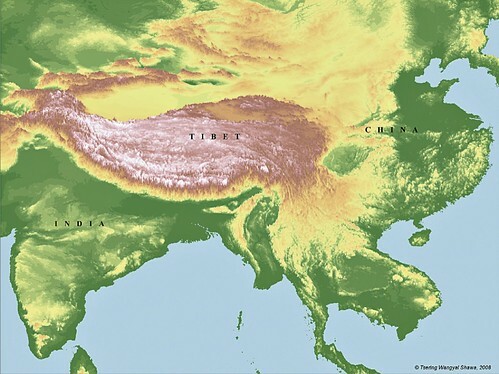 A team of researchers from China, Denmark and the University of California at Berkely, examined the genome of 50 ethnic Tibetans and 40 Han Chinese, from whom Tibetans diversified about 3-6,000 years ago. They found more than 30 genes with mutations which related to how the body uses oxygen. One of the team, Rasmus Nielsen, a professor of integrative biology at Berkeley said, "For such a very strong change, a lot of people would have had to die simply due to the fact that they had the wrong version of a gene". Amazingly, and as a rather nice example of how evolution can work counter-intuitively, two of the mutations found normally cause low haemoglobin levels. The body's normal response to high altitude, and one which most of us would experience if we moved to Lhasa for any length of time, is to make more red blood cells in response to low oxygen, by a similar mechanism by which you recover from severe blood loss. The kidneys produce a hormone called haempoetin which stimulates red blood cell production. So, one might expect adaptation to high altitude to involve making more red blood cells with haemoglobin in them, not less. However, a long-tern effect of more red blood cells is that the blood is thicker, so blood pressure tends to rise to push it around the body. This causes 'altitude sickness' in non-adapted people, one effect of which is reduced fertility and higher infant mortality. 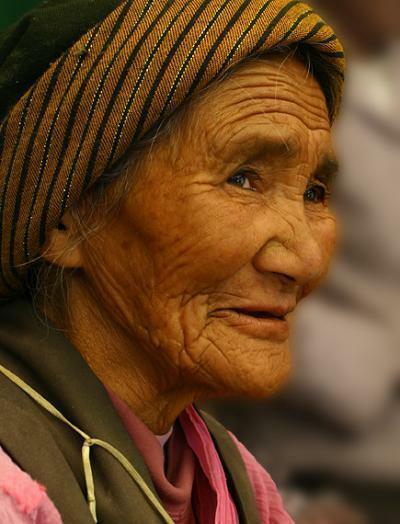 Han Chinese living in Tibet have an infant mortality rate three times that of Tibetans. So, coupled with other changes which allow their bodies to use oxygen more efficiently, these mutations counter the tendency to make more haemoglobin, so avoiding altitude sickness, while still being able to live with 40% less oxygen. So we see in this example how humans can adapt to new environmenrts by a simple process of Darwinian Evolution by natural selection acting on variations in the genome and, when the conditions are right and selection pressure is high, how this can take place over a very short period of time. It also demonstrates that a mechanism clearly evolved for short-term emergency situations like blood loss and temporary high altitude, such as might well have occurred in a nomadic hunter-gatherer, is not always suitable for a permanent solution and may actually create a long-term problem which needs to be countered. In this situation, a mutation which would normally be disadvantageous because it would prevent this short-term solution, is actually an advantage. As always, the change in information in the genome can have an entirely different meaning in one environment to that in a different environment. 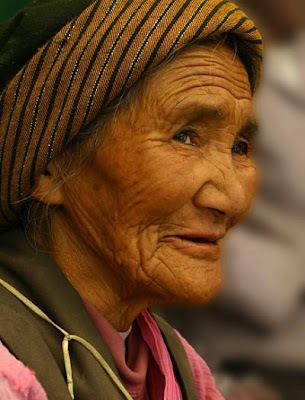 Disadvantageous mutations for the Han living in Beijing gave their Tibetan offshoot a distinct advantage in high Tibet. No change in information but an entirely different meaning determined by the environment. So we see the claims made by Creationist 'scientists' and information theorists such as William Dembski, that evolution is impossible because no new information can arise in the genome, exploded by simple, observable evidence. Very frequently, evolution does not require a change in information, it occurs because of a change in the environment. One wonders why Creation 'scientists' don't simply revise or discard their hypotheses when they are so fatally falsified by the evidence, until one sees the income their book sales and lecture tours generate. Wow ! Amazing information ... Thanks for sharing .. ! Fascinating. Are there any side-effects for Tibetan people living outside of Tibet?